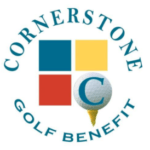 Cornerstone offers support services for a wide range of families needing assistance. Those families include first time mothers, families with adopted children, children having problems in school, children at risk with the juvenile justice system, relative caregivers who need to obtain legal guardianship of children and many others. These supportive services are funded by the State of Illinois, by grants from foundations and organizations and individual donations by people in our community. As such, most of these services are provided at little or no cost to you but, certain eligibility factors must be met to receive services.